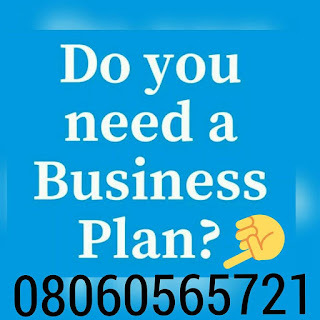 After payment text your name, your e-mail address and bank teller number to 08060565721 and you’ll receive your COSMETICS PRODUCTS BUSINESS PLAN / FEASIBILITY STUDY PROPOSAL. Cosmetics are preparations normally applied to the face and the body. It is a very lucrative business because a lot of people make use of various cosmetic products. A lot of people are into this business which is the reason for it’s competitive nature. Nevertheless is really yields profit as it is in high demand. In Cosmetics products business, you can start small with cheap cosmetics products, then gradually increase your business capacity as your profits starts coming. This implies that you can start a cosmetics products business with as low as N50,000 and you’ll be able to get twice as that in a month when you sell to consumers. In the same manner if you invest like N500,000 or more, there is a huge chance that you can get up to 70% profit monthly when you sell to consumers or final users. However if you invest up to N2,000,000 you have the capacity of being a wholesaler and there would still be a huge chance of getting profit worth 70% in return if you constantly turn the money over and over for months. Cosmetics products business is a lucrative one, but you’ll need to set up shop at a strategic location that is easily accessible. Cosmetics implies generally, personal care products. Some of which are; toothpaste, bathing soap, deodorants etc. There is also the beauty products which includes face powder, lipstick, lip-gloss, and various facial makeups. The reason why cosmetics business is a very lucrative one is not far fetched. Everyone wants to look, smell and feel good. As they say, Looking good is good business. This article will help you to be well grounded in the cosmetics business and improve profit maximization. Just before you start your cosmetics products business, there are some things you need to know that are very crucial to the success of the business and we have compiled them for you. Personal care products are required in our day to day activities. It goes beyond make ups as you’ll need soap to bath, perfumes to smell nice etc. Both people of high and low income invest in cosmetics. It is a necessity. No one wants to appear haggard or unkempt so everybody invests into cosmetics, though in varying amounts, no matter the income. There are various types of cosmetics you can venture into and they have being listed for you. Just bear in mind that every cosmetic product is very lucrative as the demand is quite high. Hair Extension : This could be attachments or weaves usually attached to the hair so as to improve it’s look. It is used mostly by females. Hair care and Treatment : These are various types of hair cream, hair gloss, hair spray, relaxers, different types of hair treatment, etc. The skin obviously needs proper care so as to feel fresh, look Smooth and be comfortable. Literally, people want to be comfortable in their own skin so they make use of a wide range of skin care products to achieve the desired result. These products includes bleaching cream, moisturizing cream, age defying cream, anti acne cream amongst others. This can be divided into three parts and they are; roll on, body spray and perfumes. They are used so as to always smell good and nice and also prevent the body from emitting offensive odour. This area of cosmetics helps out in maintaining personal hygiene. They include toilet papers, bathing soap, sanitary towel, etc. This area of cosmetics is quite popular especially among women. They are used by women both young and old to enhance their beauty. There are a lot of brands such as Mary Kay, Black Opal, etc selling these make up products which includes lip stick, eye shadow, mascara, foundation, eye liner and many others. This is crucial. Despite the fact that you can start small and grow your business subsequently, having a capital is very necessary. Depending on the size of your pocket, you can begin your cosmetics business with as low as N50,000. On a medium level you can start with N500,000 – N1 million, and on a large scale you can commence with N10 – N20 million and even above. There is no limit to how large you want your business to be. Despite the high level of demand for cosmetics, your shop should be in a strategic location, where it can be easily seen by a large number and of people and equally accessible. You should always make your shop visible and accessible. They shouldn’t be tampered with as that is crucial to the success of your business. Your advertisement can be made via different social media, world wide web, fliers, newspapers etc. Even telling neighbors, family, and friends is a sort of advertisement. The way you display and show case your goods is another form of advertisement. So display and arrange your goods in a beautiful and attractive manner so as to attract customers and help in the success of your business. It is not bad to be specialised in an area of cosmetics. But to increase profits, you can deal in a variety of them and maintain order by dividing the shop into sections. For example, you can set up the hair extension section, the skin care section, the personal care and toiletries section etc. This will make your shop more attractive. There are various markets in Nigeria where you can purchase your products to sell. They include; the Mushin market, the Dosunmu market in Lagos Island, Balogun market also in Lagos Island, Trade Fair market along Badagry Expressway, all located in Lagos State. Also there are distributors of skin care and hair care products, known for quality and originality they include; Bicu shop at Apongbon street Lagos Island, Dupe cosmetics at Moshalashi street in Lagos Island, Kudi cosmetics in Balogun market Lagos Island. Nothing stops you from being a distributor if you wish to be one. To be a distributor you have to buy directly from the manufacturers. This however implies that you need to have a huge amount of money to use as start up capital. Also bear in mind that these companies have varying procedures so you will need to follow due processes like locating their office address, registering with the company at a cost and some other procedures of that particular company. introduced by the company. So if you really want to be a distributor, make your decision on the company or companies that you wish to be a distributor for, conduct your research on their procedures, terms and conditions and if you consider them favourable, then you are good to go. It has being said a lot of times in this article that the cosmetics business is very lucrative. With as low as N50,000 you can start the business and be sure of good profit at the end of the month. Just get your capital, have a good shop at a very strategic location that is very visible and accessible, buy your products, apply everything you have come across in this article and you are on your way to making good profit.